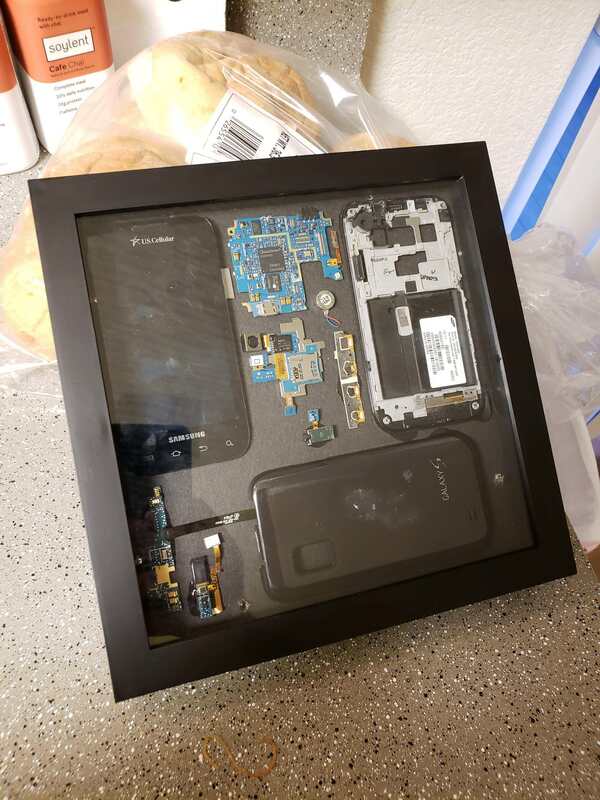 When your smartphone gets old, you may pass it along to a relative, sell it to someone else, or chuck it in a drawer and forget about it. 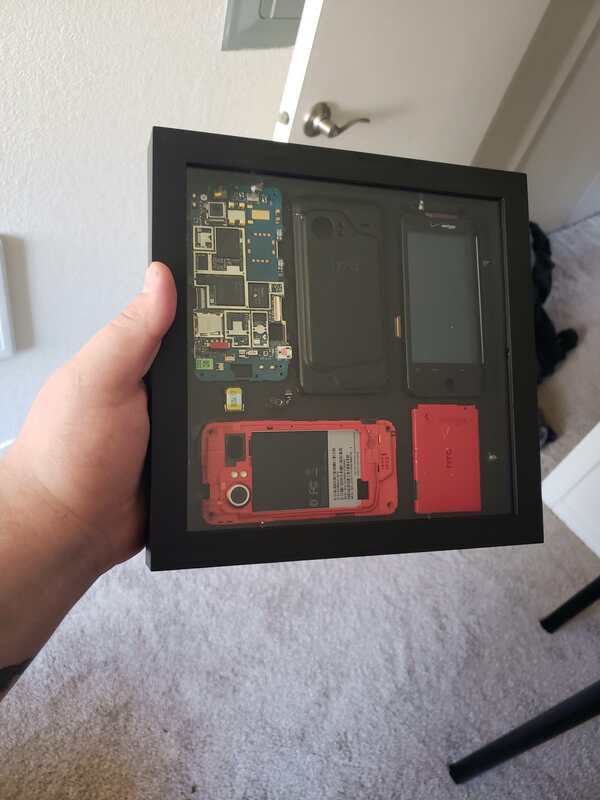 Not this guy though. 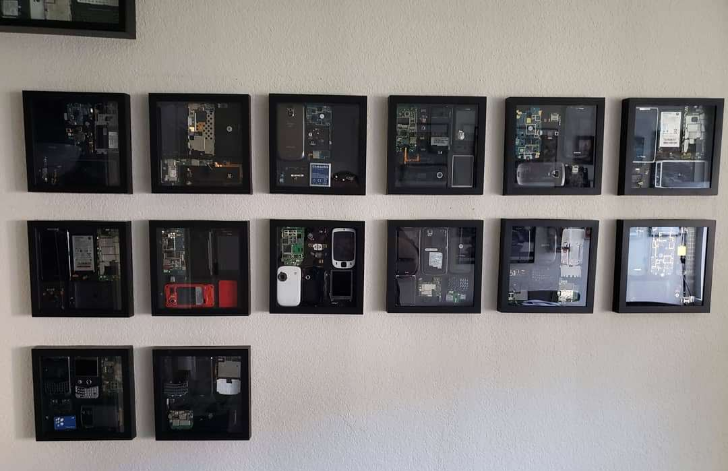 He goes all iFixit on them, grabs his Philips screwdrivers and priers, and dismantles them down to their smallest components, then he hangs them on a wall like the nerdiest of all art collections. 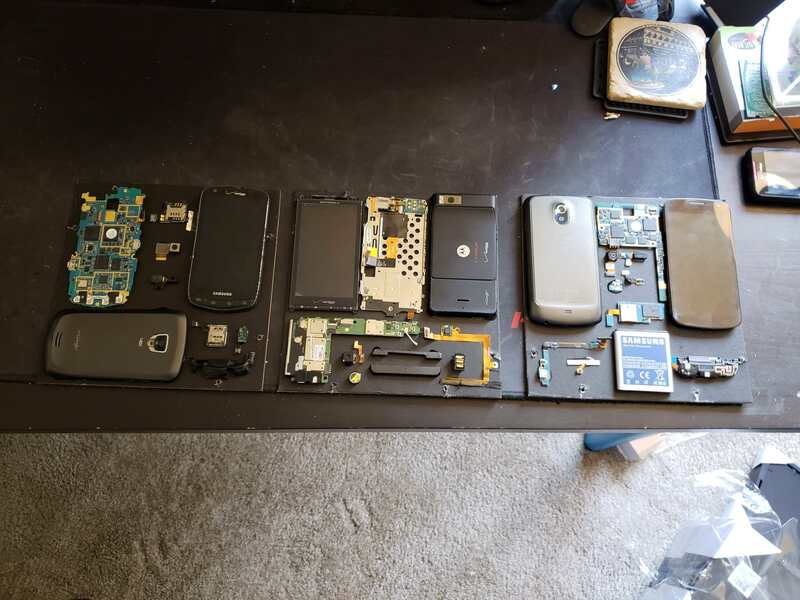 Among the devices on his wall of exploded smartphone history are a few iconic models like the Palm Pre, HTC Touch, and Blackberry 8310, but also plenty of Android smartphones: Galaxy Nexus, Galaxy S, HTC Droid Eris, Samsung Stratosphere, Droid Charge, Droid X2, and HTC Droid Incredible. 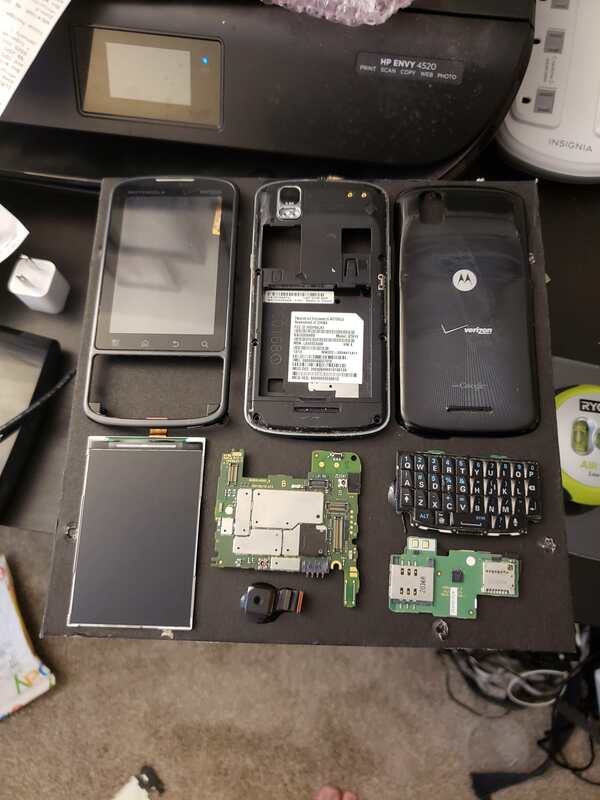 Yes, there's a lot of Verizon memorabilia there. 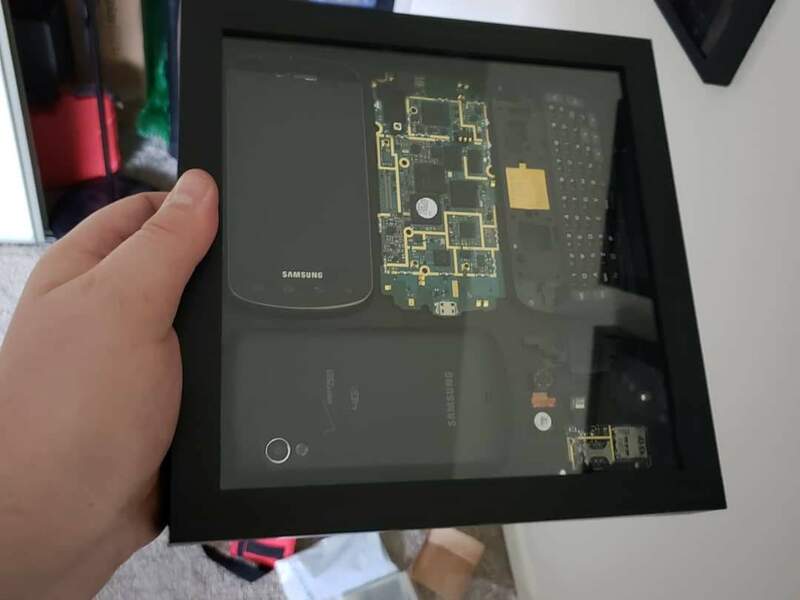 I don't know if I would treasure a device to a point where I'd make it a mainstay on my home's wall, but if I had an office where I spent most of my time writing about mobile technology, then the spirit of smartphones past might be quite an appealing decoration option. 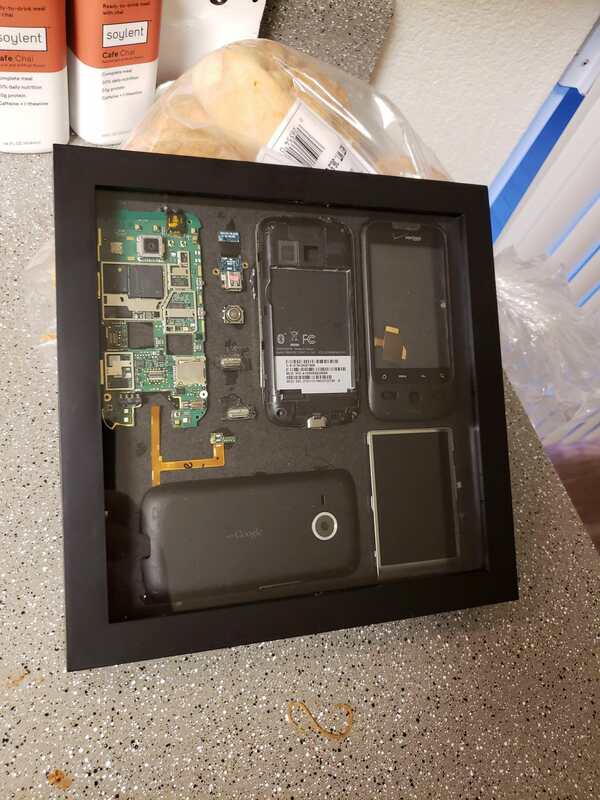 I'd get my Nokia E71 out of my drawer and put it on there, try to find a black Nokia N95 8GB and an N8 in orange or blue, a yellow Lumia 1020, and probably grab the HTC Desire Z, Galaxy S3, and the LG G2 and G3 in any cool colors I could find. 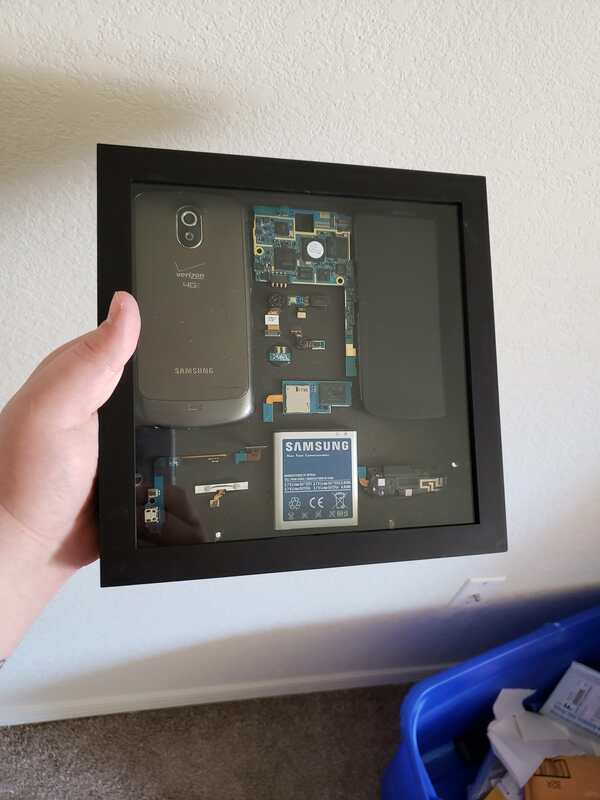 What would your wall of smartphone fame/history have?